We are an ISO 9001 and ISO/ TS 16949:2002 certified organization, which is a quality standard for Automotive Business Management. Our organization is committed towards providing quality solutions to clients for all their weighing needs. Be it the products or the services we offer, quality standards are strictly maintained. We have separate testing units in our plants, where the products are tested for any possible defects and faults. Our quality controllers and operators ensure that there are no shortcomings in the fabrication processes through proper inspection. Real time testing with actual weights and loads help us to assess the actual potential and performance efficiency of the products. We also offer prompt after sales services to our clients and offer them customized solutions. Following ethical business practices, we have been able to gain a respectable position in the industry. We are an ISO 9001 and ISO/ TS 16949:2002 certified organization, which is a quality standard for Automotive Business Management. Our organization is committed towards providing quality solutions to clients for all their weighing needs. 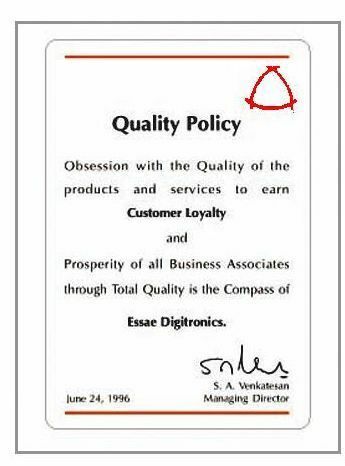 Be it the products or the services we offer, quality standards are strictly maintained. We have separate testing units in our plants where the products are tested for any possible defects and faults. Our quality controllers and operators ensure that there are no shortcomings in the fabrication processes through proper inspection. Real time testing with actual weights and loads help us to assess the actual potential and performance efficiency of the products. We also offer prompt after sales services to our clients and offer them customized solutions. Following ethical business practices, we have been able to gain a respectable position in the industry.